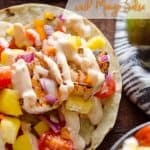 Chipotle Shrimp Tacos with Mango Salsa are a fresh and delicious dinner recipe that whip up in 15 minutes for an easy meal bursting with fruit & vegetables topped with a spicy chipotle Greek yogurt sauce. I only discovered fruit salsas a few years ago, but when I did I fell in love. I can’t lie, at first glance I may have turned up my nose a bit. 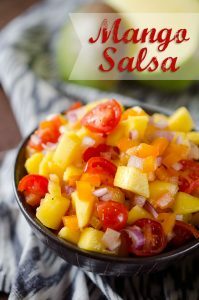 Despite being hesitant, I immediately loved the balance of sweetness from the fruit with the spices in the salsa. 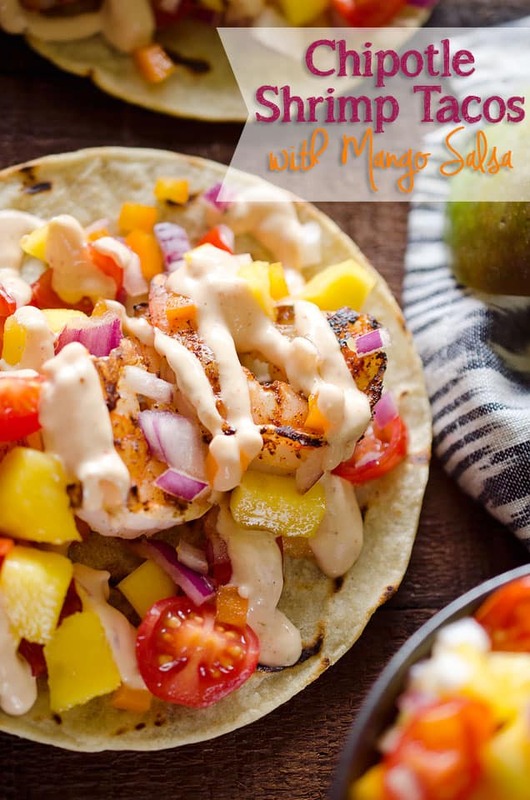 Whether it is a canned picante style fruit salsa, a fresh pineapple or mango pico de gallo recipe or a grilled avocado and fruit salsa, I can’t get enough of the stuff! I found some jumbo raw shrimp at the Grocery store that were impressively large and calling my name. After tossing them with some chilli powder and salt I tossed them in a saute pan for a few minutes, just until they were pink and cooked through. 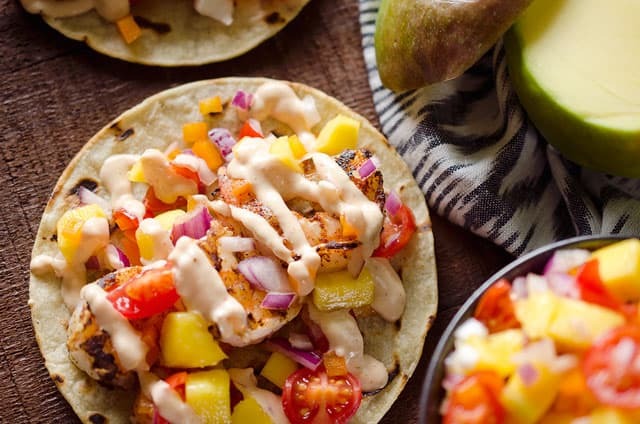 I added them to my grilled corn tortillas and topped them off with a drizzle of spicy chipotle Greek yogurt sauce and a hearty spoonful of fresh mango salsa. 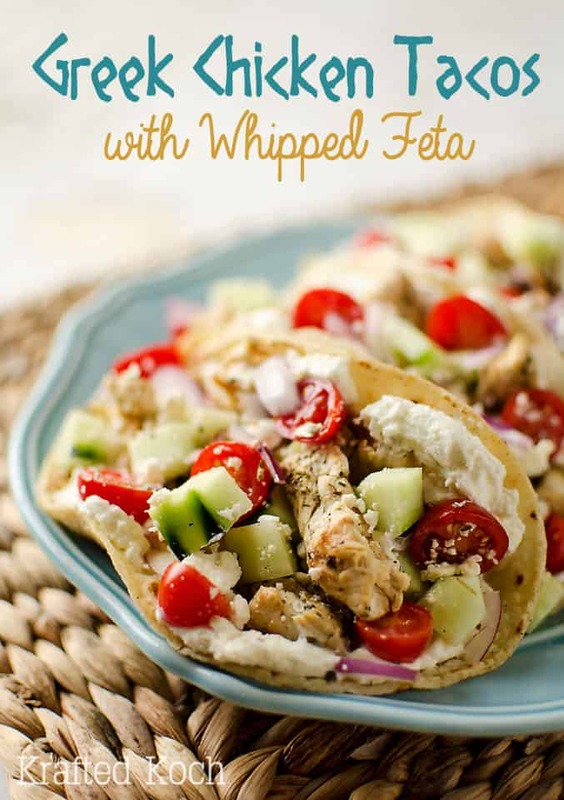 This meal came together to make such an amazingly flavorful dinner that was super healthy! 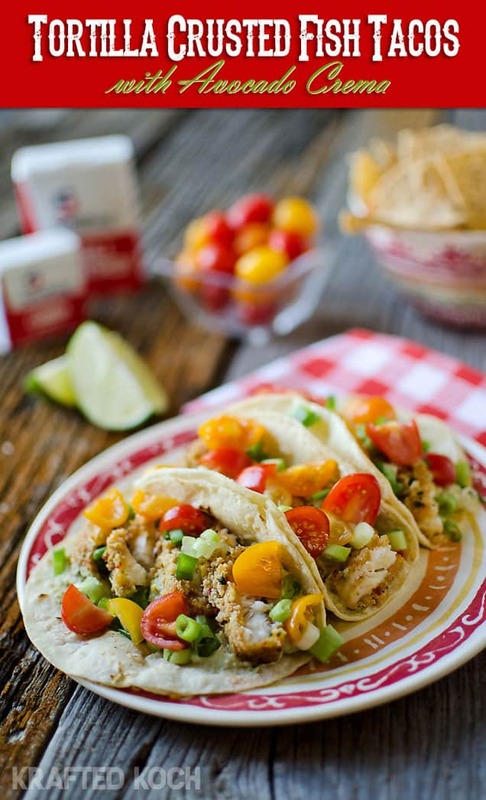 Spray each side of the corn tortillas with non-stick spray. In a large skillet over medium-high heat, cook each tortilla for 30-45 seconds on each side. Set aside. Meanwhile, pat the preeled and deveined shrimp dry and toss with the chili powder and salt. 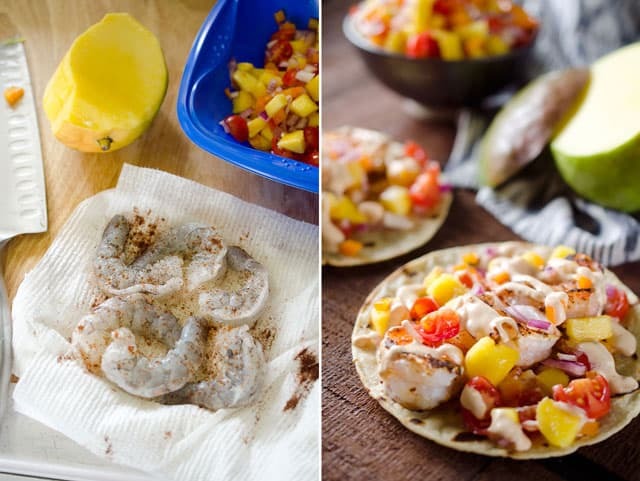 After the tortillas are finished cooking, spray the pan with non-stick spray and add the shrimp. Cook for 3-4 minutes or until they are pink and opaque in the center. 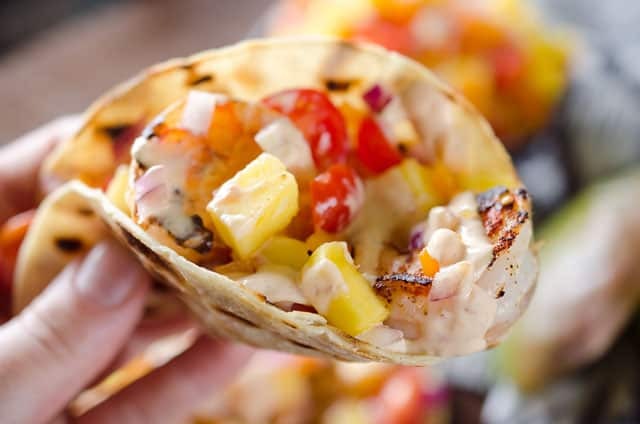 Top the tortillas with the shrimp, 1/4 c. mango salsa and a Tablespoon of chipotle sauce. Serve immediately. Mmmm these look amazing! I have yet to try a sweet salsa… I just can’t wrap my brain around it but these might just change my mind! 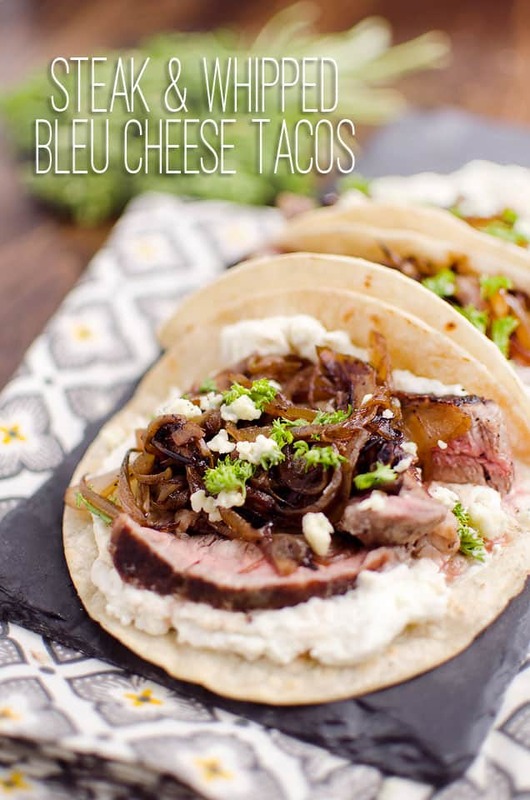 Definitely craving Mexican after seeing this post – these tacos look SO delicious. 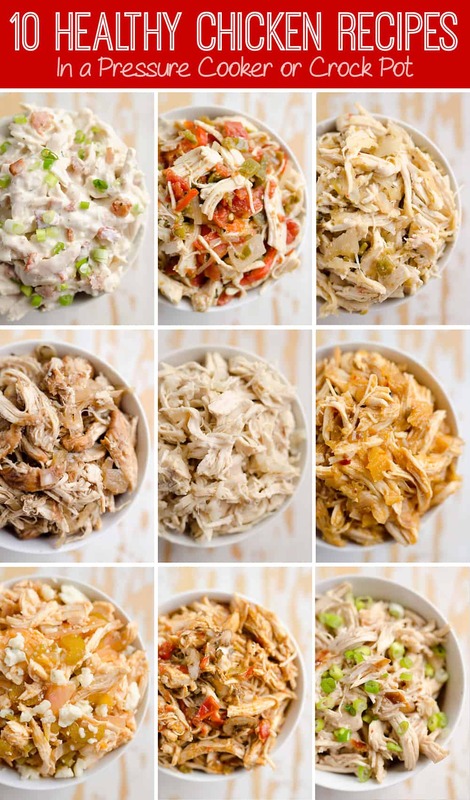 What did you buy or mix together for the Chipotle sauce? 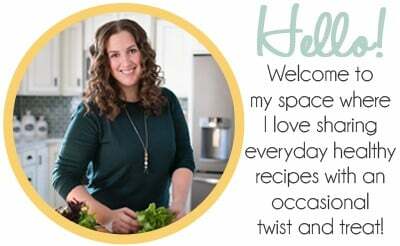 Hi Kristin, it is just referring to the Chipotle Lime Sauce recipe right below the taco recipe. I made these recently and they were pretty good! I’m not usually one for tacos because they tend to be messy (or I just haven’t learned to eat tacos effectively). That being said, I enjoyed the flavour of the shrimp with the salsa and the sauce. They went together very well. I think that I will grill the shrimp next time I make them for even more flavour!